Water and Weight Loss: What’s the Big Deal? 22 Jun Water and Weight Loss: What’s the Big Deal? Water may not be all that glamorous, but our bodies need it to function. The human body can survive for about three weeks without food, but only a few days without water. Besides being critical to our survival, water can increase our alertness, boost our energy, and rid the body of toxins. But did you know that water can also play a role in weight loss? Here’s how it can help. Levels of hunger and thirst are difficult to measure since it depends on the individual, so we can’t tell you that drinking X amount of fluids will make you Y percent less hungry. But we can tell you that drinking water makes you less hungry and can lower the amount of calories you consume when you do eat. 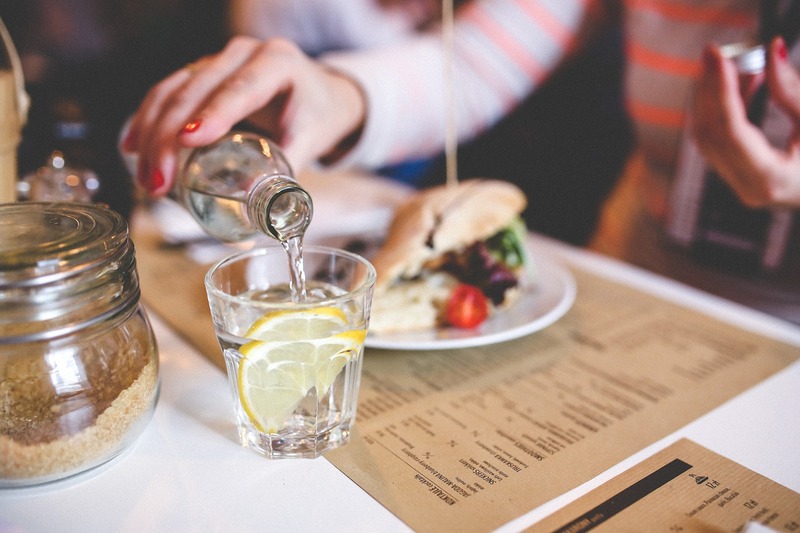 Researchers from the University of Oxford found that obese individuals who drank water several minutes before a meal ended up eating fewer calories overall. Not by tons and tons, but it does help. This is something you’ll see over time instead of right away. One study found that by drinking one additional liter of water (or about 30 ounces) over the course of a day, participants lost around an additional five pounds of fat per year. That’s because your body still has to work to process the water (and it burns even more calories when you drink cold water because the body has to work harder to warm it up). This may be an obvious one, but if you’re drinking more water, you’ll probably drink less soda, coffee, and alcohol. The Centers for Disease Control and Prevention (CDC) says that the average adult in the US consumes about 145 calories a day from drinking sugar-sweetened beverages (or SSBs). One pound of fat is roughly equivalent to 3,500 calories, so over the course of one year, the calories from SSBs add up to about 15 pounds of fat. Guess how many calories water has? Zero. Just be cautious of going overboard, especially if you’re an endurance athlete—it is possible to drink too much water, which can lead to something called water intoxication. That’s when too much water flushes out the electrolytes in your system, leaving your cells unbalanced. One way to avoid this is to hydrate with fluids that contain electrolytes, like sports drinks or Hydration Hero’s Athletic Performance package. Most Americans are chronically dehydrated, so if you want to jumpstart your hydration, give Hydration Hero a call at (817) 416-5698 today! You absorb only about 50–60% of what you drink, but your body gets 100% of IV fluids since it goes directly into your bloodstream. Our packages include vitamins, electrolytes, oxygen, and more! Give us a call to see which package is the best fit for you.